How do you feel about texting while gardening? 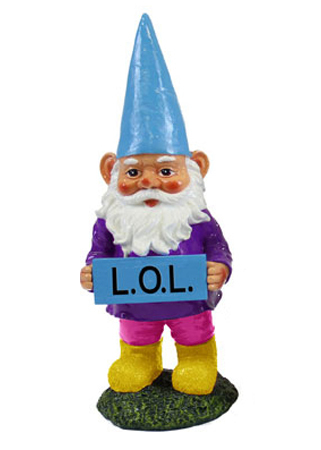 Our silly Texting Gnomes just can't stop, and they have a lot to say! Surprise your guests with this technology fluent lawn gnome! Get one for yourself, and then let a friend know you got one for them as well, via text! This is a hilarious gnome for any texting addict, anyone with a sarcastic dry sense of humor, and anyone that can't stop LOL-ing!! !